Every Company wants to maximize its profits, and some prefer to do it by increasing sales efforts while others are looking at the cost-cutting measures. 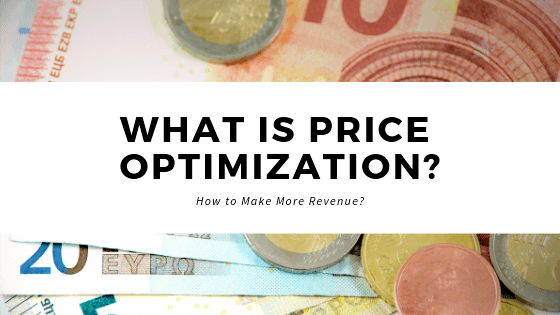 If you are not aware of the concept of price optimization, then I will guide you in this post. It is a method in which we use mathematical formulas to decide the optimum sales price for a product or service which brings us maximum revenue and hence maximum profit. Let’s suppose you are running a manufacturing company and there are different types of expenditures that you need to incur. So, let’s suppose you have created a product that cost you $10 for each item, and that cost includes only variable cost. Now your task is to determine the selling price of this product. Let's suppose you select its price for $100. Though it offers a huge gross profit of $90 but you may not sell this product massively to increase the revenue that will cover fixed cost and also gives you profit as well. Or if you choose a price of $15 for each item, though it gives you massive revenue but whether it would cover the fixed cost and gives you net profit is a difficult question. 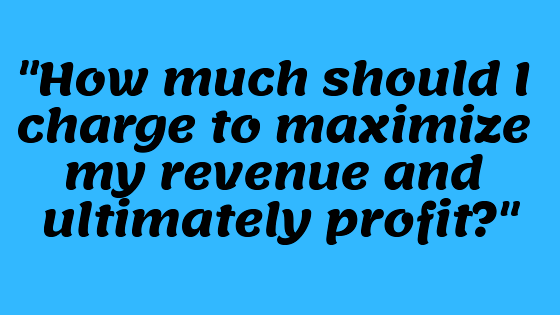 How much should I charge to maximize my revenue and ultimately profit? So, here we take the benefits of mathematical formulas (especially derivatives) and analyze the data to determine how consumers or customers will respond to different prices for its products. Customers’ behavior let us know the demand for a product at a particular price level. Companies operating in both Business to Business (B2B) and Business to Consumer (B2C), invest a massive amount of time in price optimization to ensure that their products and services will sell quickly at the best price while still earning a decent profit. So the price here we will determine will let us meet our company’s objectives, e.g., maximizing operating profit. The data we will use in price optimization may include historical prices and sales, demand, survey data, inventories, competition level, and operating costs. This practice of Price optimization has been implemented in different industries like hotels, retail, banking, insurance, airlines, casinos, and car rental industries. There are different software out there that can make this process easier for you. However, I suggest you visit Price Optimization offered by Intelligence Code. 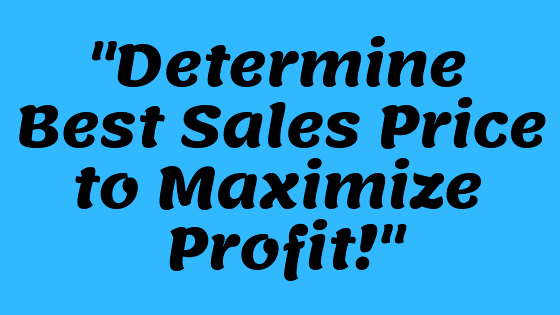 They let you determine the right price for your product to maximize profitability. In short, price optimization is finding the perfect balance between supply and demand. Also, don't think it as you have determined the price one time and just sit back. No! It is a continuous process. It is a great way to optimize your profits, and nowadays business invests heavily in these strategies. I also suggest you choose the right consultant for your business to dominate the competition.